It has been a long couple of weeks since we announced our newest contest to win a replica Friday The 13th: A New Beginning hockey mask, courtesy of fan Adam Wilson. Our simple contest helped bring in a lot of entries and included many more fans in the opportunity to win a great part of the film franchise. The contest ended yesterday and after pouring through hundreds of entries, we have now picked a new winner. Congratulations to Mike Roedell for winning the "Roy Burns" hockey mask from A New Beginning. 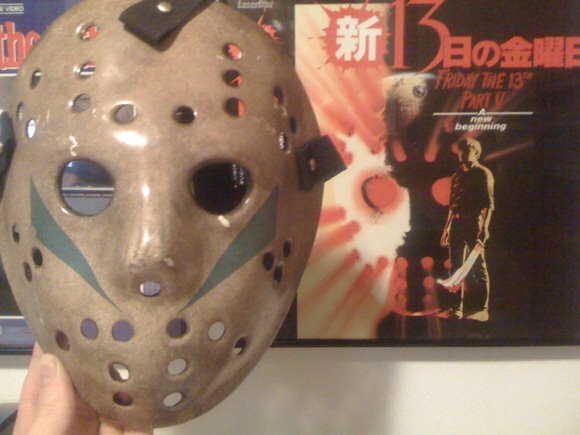 This was another very successful contest for our website and Mike Roedell is another reason the Friday The 13th films are so very popular. We have contacted the winner and the we will ship the mask this week. If we do not receive confirmation from the winner within 48 hours, we will choose a new winner. Thank you to everyone that participated and look for our new contest in the coming months!